Made for work, and long days on the trail. Alterra™ 300 is built to take on any job, with impact-resistant racks and a relentless 270cc 4-stroke engine with a backup fan. 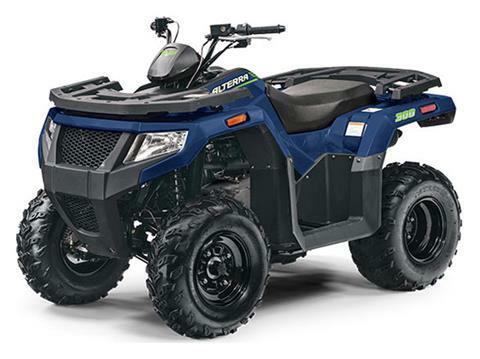 It’s a versatile ATV that can help you tackle chores, and off-road adventures.